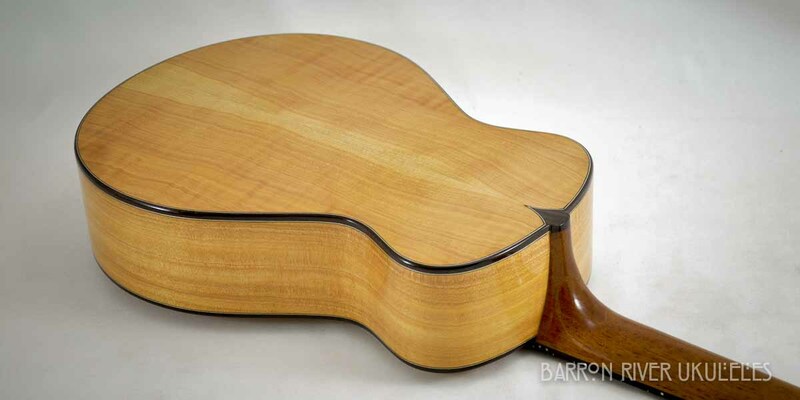 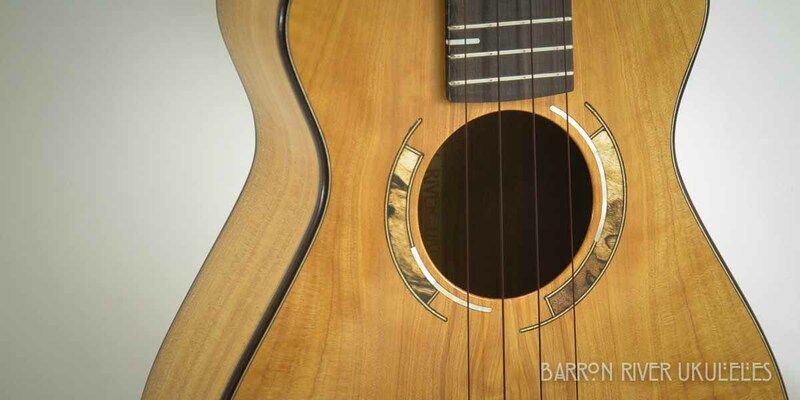 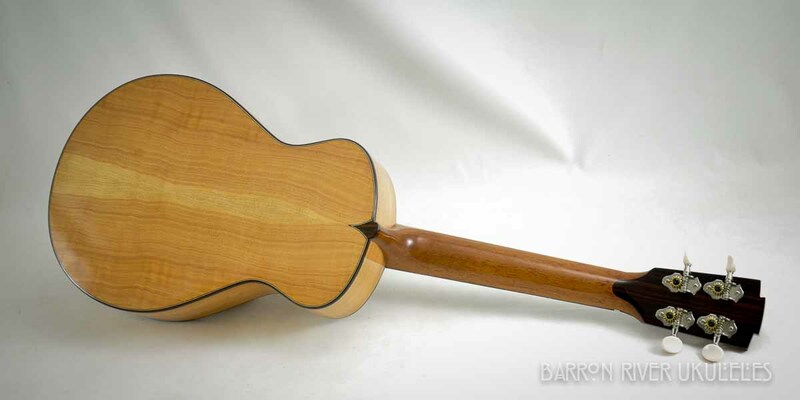 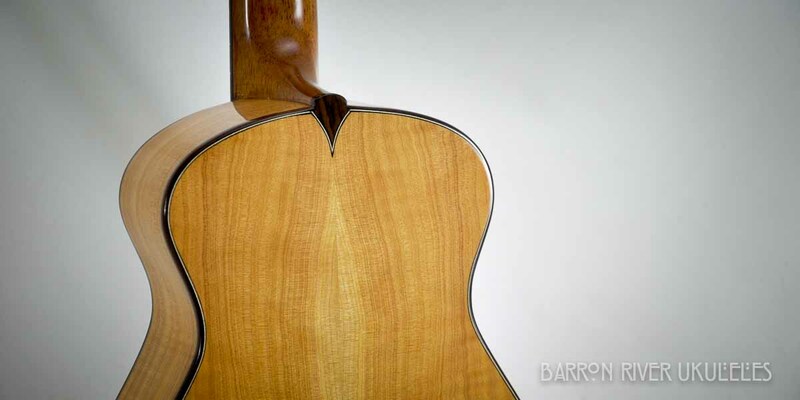 Cypress has been long prized as a tone wood in Flamenco guitars for it’s light weight, clean and crisp tones. 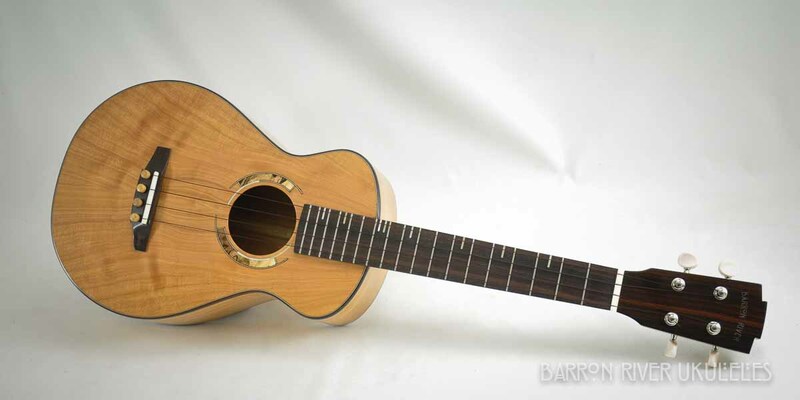 It works equally well in a ukulele. 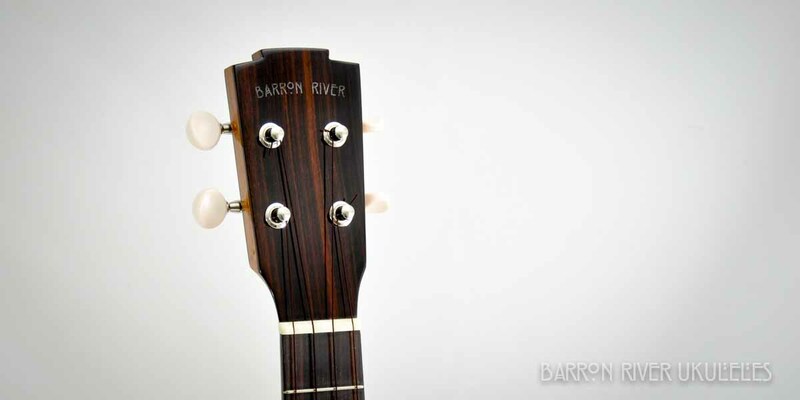 Indian Rosewood trim with 14:1 geared tuners and a high gloss lacquer finish.